An easy work around, but an annoying one. The Xbox One is all about taking over your living room, from your TV to your Blu-Ray player and of course video games themselves. The Kinect adds a bit to the ease of access for this, allowing you and your family to say simple voice commands for common actions like volume control, pausing movies and even switching channels on the TV. The Xbox One has become a staple of our media consumption in our family room with my almost five year old daughter capable of controlling the console just by talking to it. While the results are often mixed - sometimes she fails to provide the clear diction the Xbox One clearly craves - when it works, it works as designed and it's a load off us as parents. This past weekend I added an account for my wife to the console so she can have her own Xbox Fitness profile, which of course meant my daughter saw the whole avatar creation process. Being an avid fan of "dolls" she wanted to create her own avatar. I figured it was time for her own profile anyway so she could have her progress saved in games like Peggle 2 or Skylanders too. But I ran into a snag. Xbox Live profiles now required a valid email address to be tied to. I found this baffling - how are kids supposed to have profiles? So I reached out on Twitter and got several responses from Microsoft folks. The Xbox Support Twitter account confirmed the bad news. I responded that this doesn't work for children. They mentioned they appreciated the feedback and suggested a guest account. Guest accounts are only temporary though. So while Xbox Live Gold has changed from the 360 to the One, allowing you to add members of your family to your main account - those members of your family still need to have their own valid Microsoft Account to even have a consistent profile. So how did the Xbox 360 handle this? 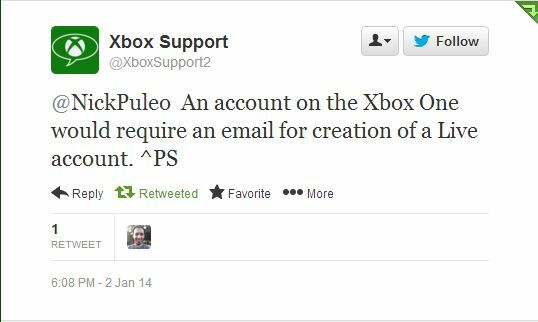 The Family Plan on the original Xbox actually created email addresses automatically for accounts with an "@xboxlivefamily.com" for accounts created on the Xbox 360 console under the Family plan. We've verified that these email addresses are now valid Microsoft accounts and you can log in via the web using the accounts and set the proper security tools needed. This will be how you migrate those old family gamertags to your new Xbox One console. It just seems odd there is no way to do something similar, with a seamless automated process of creating these child accounts on the Xbox One. This change is no doubt driven by the portability of gamertags from system to system which was introduced with the Xbox One. Sadly, as you can see, this becomes an oversight for the younger generation of gamers. This actually becomes troublesome because of the COPPA - the Children's Online Privacy Protection Act which limits and protects users under the age of 13 from having ANY personal information collected on them from internet websites without proper parental consent. Some services including Google's GMail absolutely refuse to even give an account to someone under the age of 13. Luckily it seems that is not the case for a Microsoft account, but you DO have to provide a valid phone number for the account. You'll also need a credit card (and a small charge) to verify the account has been given parental permission to access online to comply with COPPA. 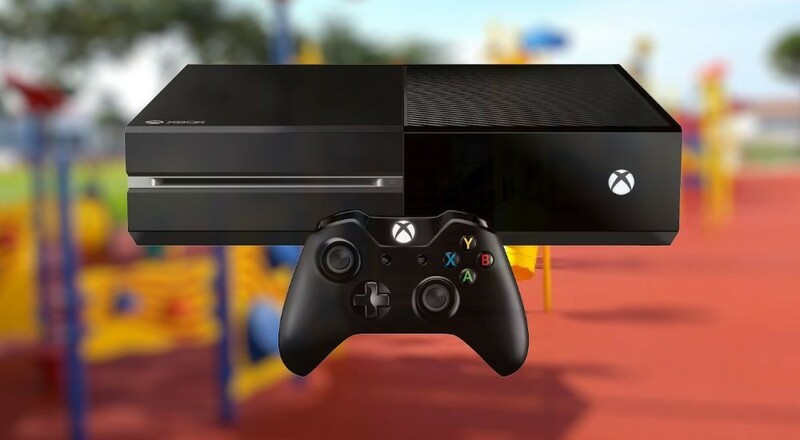 So what do you do if you want to give your child access to their own account on the Xbox One? You'll want to create an email address for them and keep track of the personal information associated with it in case it ever needs to be recovered. You can then use that to sign up for an Xbox Live account and tie it to your family via the console. Just remember that if you ever lose access to that email account and/or your live account your child may potentially lose anything associated with their profile and saves. Hopefully Microsoft can come up with a better solution than this in the near future. It seems odd that my five year old has an email address.